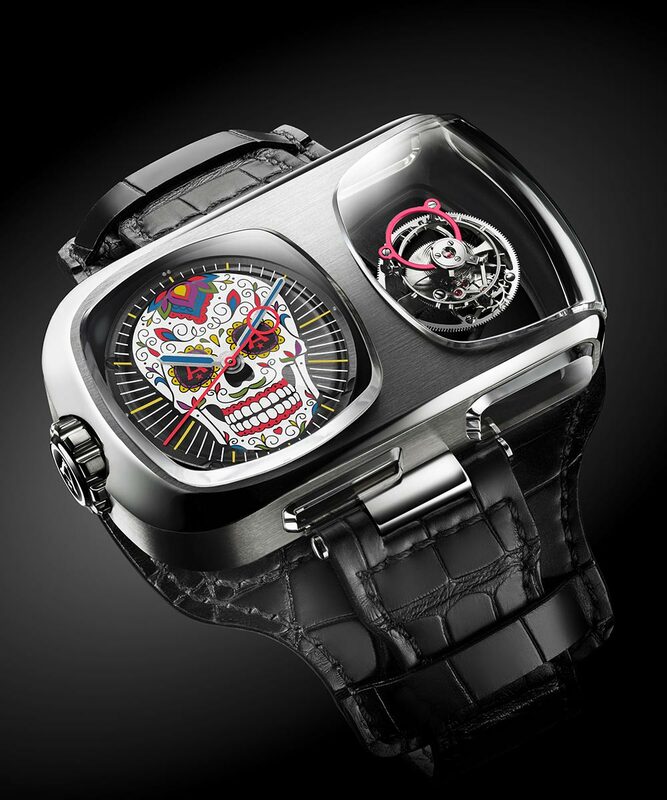 This unique watch pays tribute to the old tradition of Mexican Calaveras. The Angelus U10 Tourbillon Calavera is a timepiece and a piece of art in one. And just one piece is built. This unique watch pays tribute to the old tradition of Mexican Calaveras. These are part of a very ancient tradition of memento mori. A very appropriate theme for a timepiece. Since Ancient Rome, memento mori has been an important part of ascetic disciplines as a means of perfecting the character by cultivating detachment and other virtues, and by turning the attention towards the immortality of the soul and the afterlife. The Calaveras are mainly used in the Mexican celebration of the Day of the Dead (Día de los Muertos), where people remember and honour those who have passed on with Calaveras, poems and other forms of symbolism. Above all, it is a celebration of life and its transient nature. 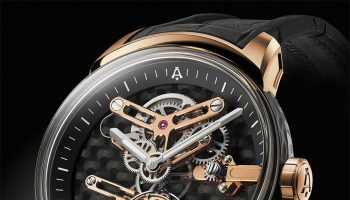 Enough background information, let’s look at the Angelus U10 Tourbillon Calavera itself. 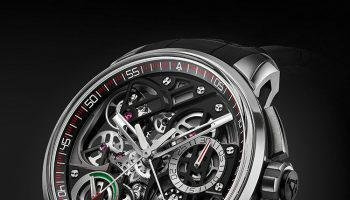 On one hand the U10 Tourbillon Calavera is classic haute horlogerie. 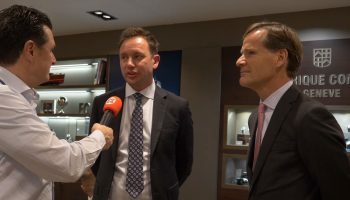 Its dead beat seconds derives from 18th-century pocket watches; the movement bridges and plates are in traditional nickel-silver; and the traditional 2.5Hz / 18,000 vph of the screwed balance with Breguet-overcoil is a throwback to Angelus’ early pocket watches. 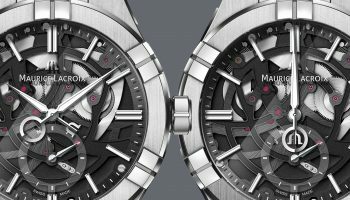 And yet, the modernist display, innovative engineering and state-of-the-art materials and finishing ensure that the U10 Tourbillon Calavera can equally be viewed as an important example of cutting-edge, contemporary watchmaking. It’s virtually impossible to keep your eyes of the flying tourbillon that is on full show thanks to deconstructed movement and duplex case. The 62.75 mm x 38 mm x 15 mm case features no fewer than seven sapphire crystals. All the crystals are bevelled, polished and subtly protrude from the case, creating expressive three-dimensionality. 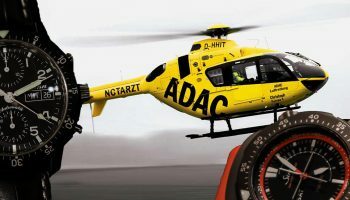 Four of these crystals – including one wrapping 90° over the end of the case – surround the tourbillon, allowing clear views to the beating heart of the timepiece, the Angelus A100 calibre with two mainspring barrels capable of running the watch for 90 hours.